January is a fairly unpredictable month in the mountains of Western North Carolina. One day, we’ll see bright sunshine and temperatures in the 40s or 50s, then blustery temps the following day with snow. So we’re countering the month’s unpredictable nature with a very predictable bird for our latest installment of 12 Months of Birding at the Inn: the Carolina Chickadee. 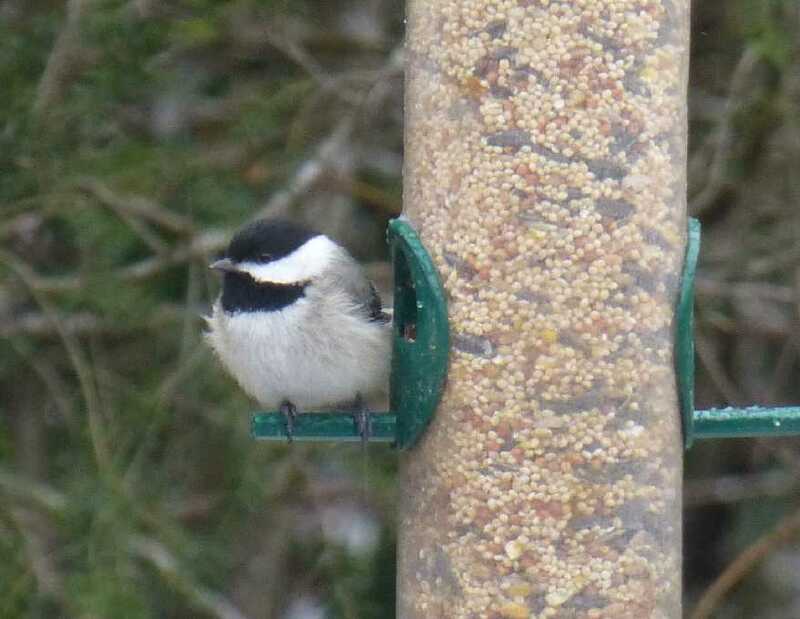 Windy, cold days don’t keep the Chickadees from the feeders at the Inn! 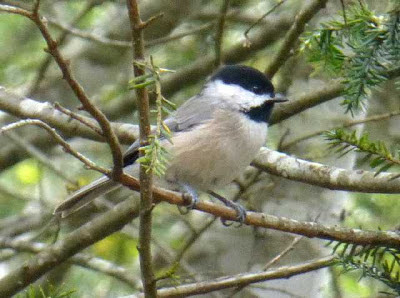 The Carolina Chickadee is a year-round resident and very frequent visitor to the feeders at the Inn on Mill Creek. We see them virtually every single day, rain (or snow) or shine. 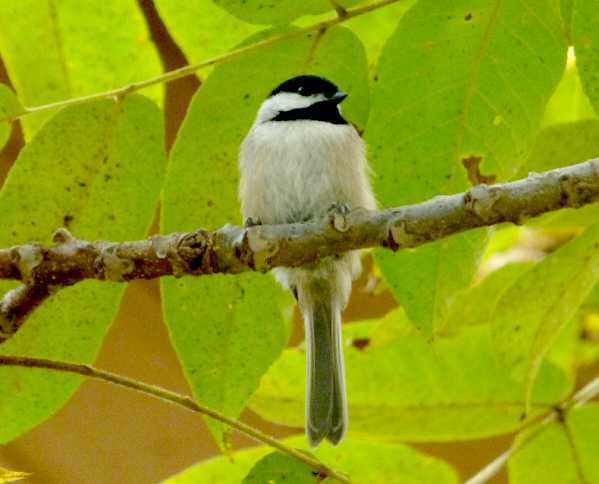 There are actually two kinds of Chickadees — Carolina and Black-capped — and they are very similar. Ours are the Carolina version, but if you happen to live the zone of overlap, you may see both. Carolina Chickadees are extremely social and ours at least are generally unfazed by people (especially those carrying birdseed to the feeders), which makes getting photos of them very easy. And they’re photogenic as well, don’t you think? The four-noted high-pitched, cheery song of the Carolina Chickadee is a welcome sound oftentimes in the winter, a time when many other songbirds have migrated. 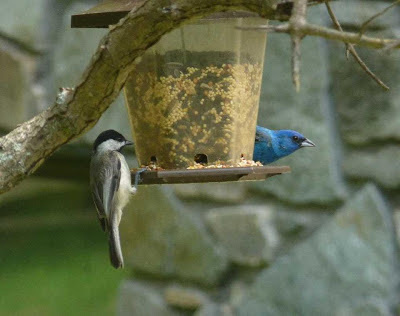 They will be especially chatty as soon as the birdseed goes into the feeders, and it’s fun watching them at the feeders, and seeing them interact with each other and other bird species. When you stay at the Inn, be sure to watch for this little black-headed bird…chances are highly likely you will see him and several of his friends throughout the day! This entry was posted in Uncategorized and tagged 12 Months of Birding at the Inn, birding by Inn on Mill Creek. Bookmark the permalink.